New people on the team! It is a pleasure to welcome Caitlin Parker onto our US Team as Project Manager. Caitlin comes from a biotechnology background. She has a degree from the University of Arizona in Molecular and Cellular Biology and for about 6 years since, has worked with a major global drug manufacturer in roles up and down the production cycle – in manufacturing, document control, automation and other roles. Caitlin is a born and bread San Diego native and enjoys getting together with family and friends at barbecues, raising her young daughter and is a big fan of stand up. When it comes to Artesyn, Caitlin loves using her wide-ranging industry know-how as well as putting her organizational powers to the test within the new collective. We hope that she continuous to enjoy working in such a close-knit team and are thrilled she is on board to continue developing 10x improved components and systems for a new era in biopharmaceuticals. 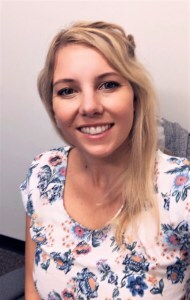 Welcome to Hedvig Tõnisson, who as of July 2018 is part of our Marketing and Sales Team. 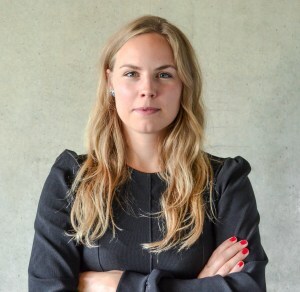 Hedvig has a degree in Public Relations, Advertising and Applied Communications from Tallinn University and most recently worked in one of Estonia´s oldest advertising agencies as Junior Project Manager. Leading up to that she has had the opportunity to work and intern in various marketing roles – from copy writing to marketing strategy and brand development. Ever since her first exposure to the industry in university, Hedvig has also worked as an Ad and Producer on several Estonian productions and continues to enjoy the creative challenges and changing focus the project-based work provides. Her interest in cultures, communication and psychology is what drives her to be a better marketer, engage new environments and dive deep into roles that challenge and evolve. Hedvig says, she is someone who is not afraid of stepping out of her comfort zone both in work and personal life. She is a big believer in failing fast and in freedom to learn and discover. This and the value-based work we do are two aspects she now appreciates in Artesyn. Her interest in cross-culture dialogue, be it in film, religion or politics carries across all areas of her life and was strongly shaped by all her travels and the years she has spent in Berlin before university. Through-out her life, she has also always been involved in sports and music. Her passion in sports was track and field so for about 10 years she competed in hurdles, javelin and short put. In music, on the other hand, she has a lifelong experience as a singer, singing as a soloist in bands, choirs and taking part in other projects. She has already proven a great addition to the team globally. Looking at the steps we have taken in marketing already in the last two months we cannot wait for what the next couple of years have in store! Our Estonian group is happy to welcome Aleksandr Kvitš to the team as Mechanical Design Engineer. Aleksandr has just returned from obtaining a First Class Degree in Mechanical Engineering from the University of Aberdeen in Scotland. He says he has always had an interest in puzzles and sciences so the choice to study engineering came naturally. Now, however, he is eager to get his hands dirty with design and development projects in Artesyn and the biopharma industry. He loves the inventive and creative side of the role as well as the changing exposure to different design projects that work in a small and expanding company provides. 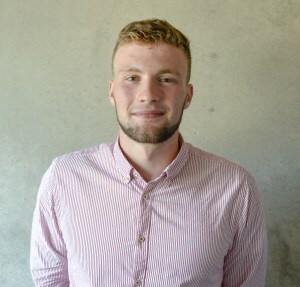 Alongside engineering, Aleksandr is passionate about sports, in particular tennis and football, having racked up impressive accomplishments in both. He has trained and competed in tennis since he was 5 and for a few years also taught young training groups in Tallinn. From his most successful years, he holds the 3rd place in men´s doubles from the Estonian League and the 1st place in the Scottish University League. Tennis has always come first, but when it comes to football, Aleksandr has also played for years and been part of the winning team in the Estonian Indoor Cup. We hope Aleksandr continues to enjoy the challenge in biopharma engineering and are excited about the innovation in SUTs our engineers are part of creating.